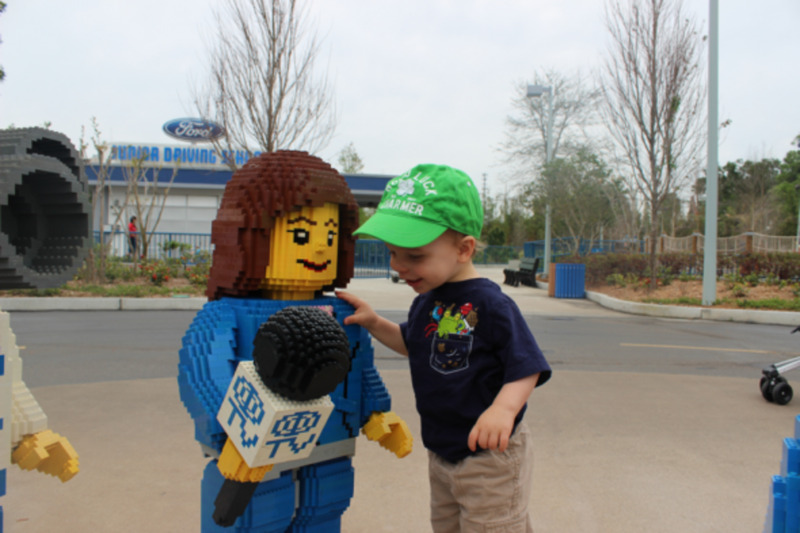 My little guy was 15 months old when he visited LEGOLAND Florida this spring. There is PLENTY to do for toddlers, despite negative reviews. We spent a few days there and had a blast! It was so easy to get back and forth to the hotel for naps and it was not crowded at all for spring break. 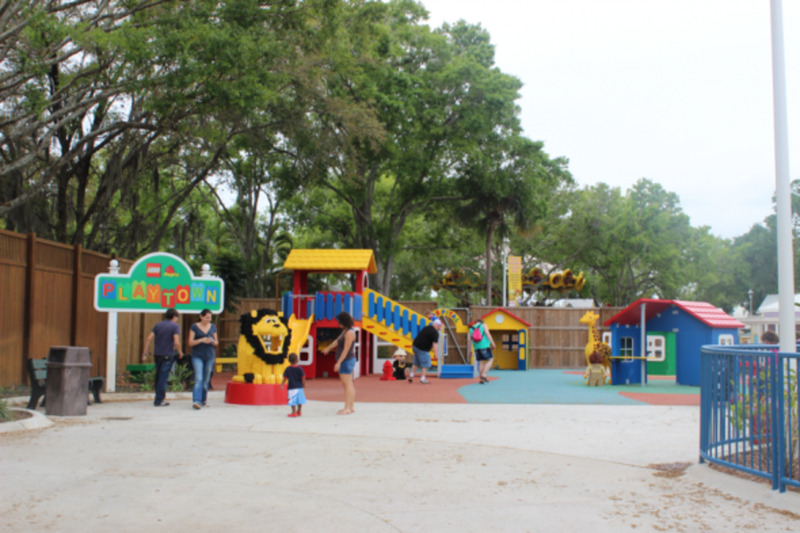 Toddlers can do multiple attractions, play outside of the stroller, see shows that are engaging and have a fun, stress-free day at LEGOLAND. 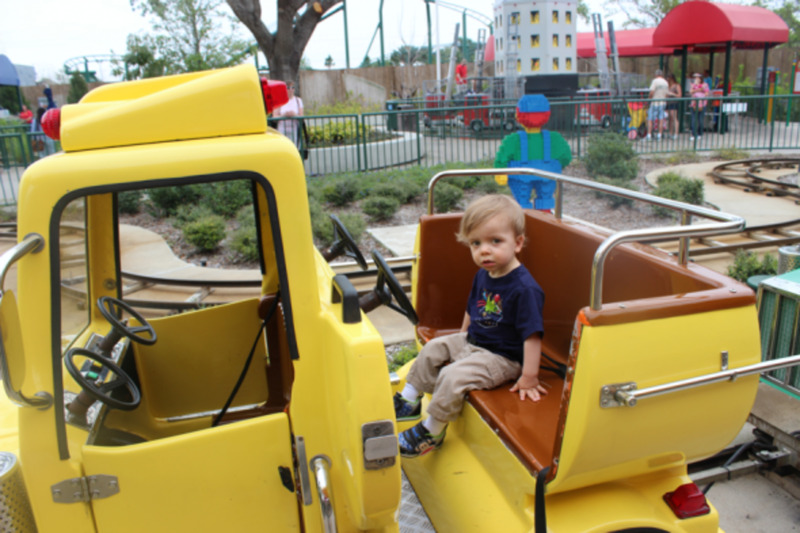 The rides may not be not up to the excellence of the Disney Parks, but from a toddler's perspective, LEGOLAND is a better choice. 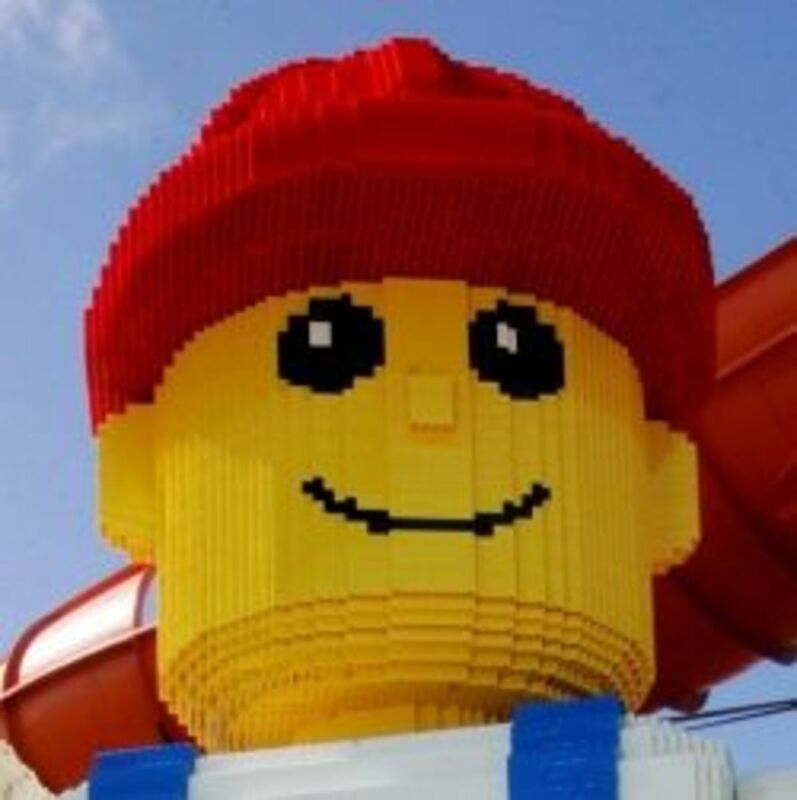 Toddlers at LEGOLAND don't spend their entire day being pushed in their strollers through throngs of people riding from stroller parking to stroller parking to stand in long lines like they would at the Disney parks. 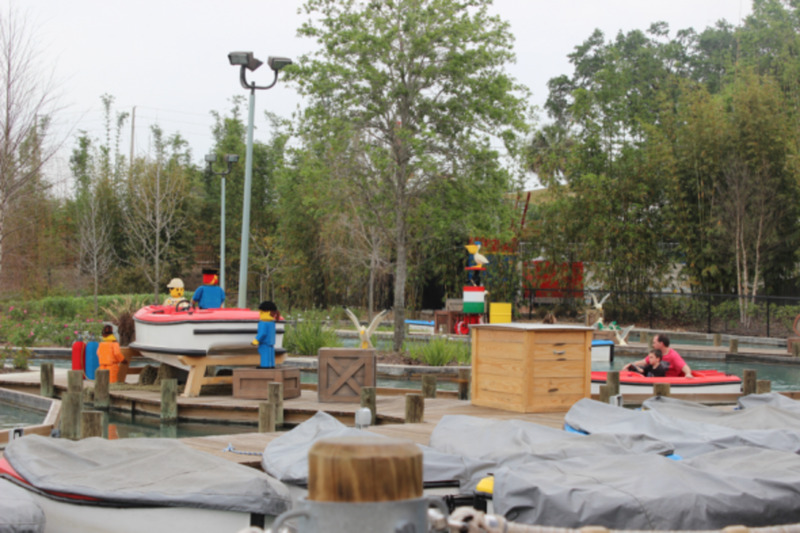 We were so grateful to be able to have fun and relax a bit at LEGOLAND after spending a few crowded and congested days at Disney! 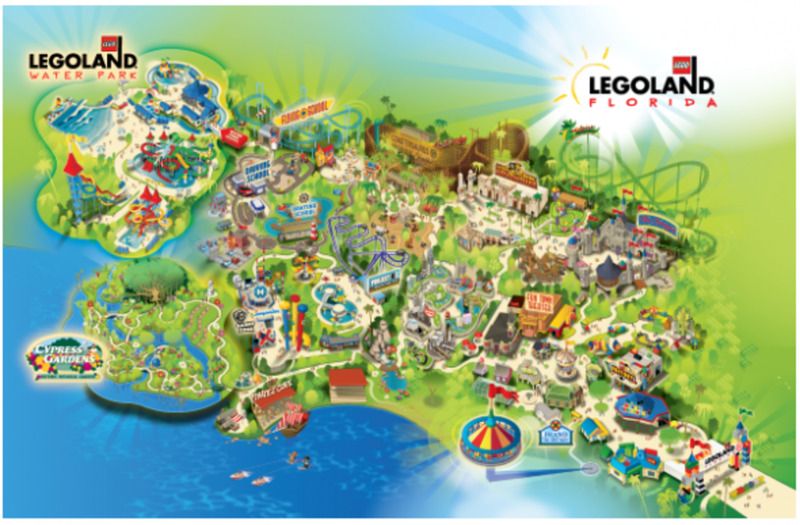 The best thing about bringing a toddler to LEGOLAND is that they are free under 3 years old! 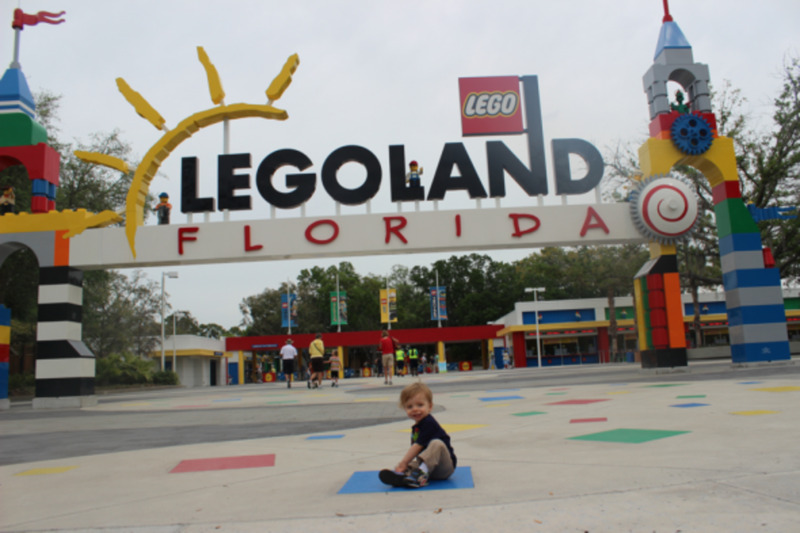 Check out what the 1 year old and I did at LEGOLAND Florida with all my tips and ideas for visiting with toddlers! The Island in the Sky - Toddlers can ride with their parents way up high in the sky. You can see the entire park from up here. This is a great ride for everyone as long as you aren't afraid of heights! Toddlers love this ride and enjoy this unique experience. This is such a cute carousel. 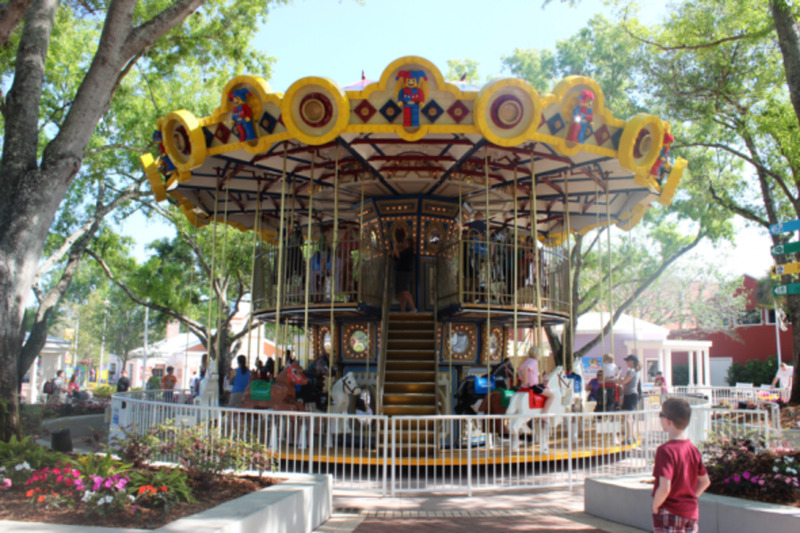 This is the original carousel from the old Cypress Gardens park, refurbished with LEGO horses and LEGO jesters up top. It is such a beautiful little double decker carousel that doesn't go too fast for a toddler to enjoy. I had to wrestle with my toddler a little bit at first for him to willingly wear the 3D glasses, but he finally gave in. The movie, Spellbreaker, was a little scary, but it was cool and short and he seemed to like it. It is an excellent choice to beat the heat. You can even go through with your stroller, so I recommend this short attraction with a toddler. 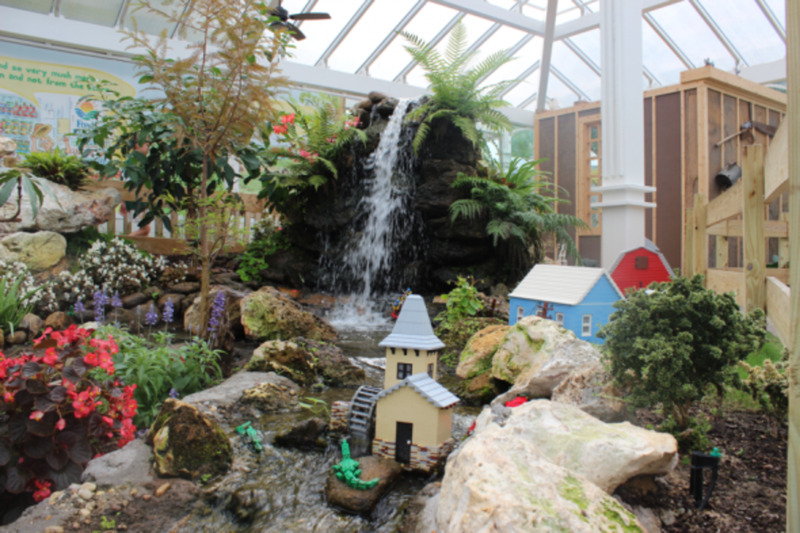 My little guy enjoyed the miniature tractor built out of LEGO and the sensory experience of waterfalls inside of a greenhouse. This attraction was just recently refurbished and used to contain butterflies when the park was Cypress Gardens, but was not renovated at the time of LEGOLAND Florida opening. 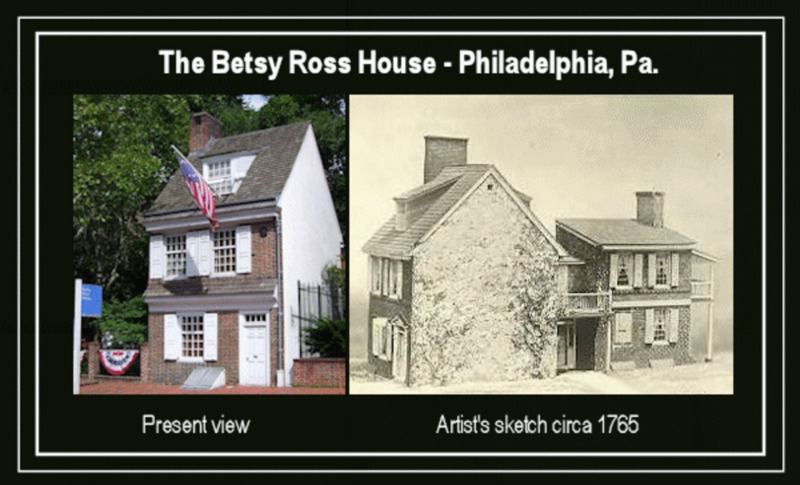 It is so fantastic that they updated this beautiful, original Victorian greenhouse. Miniland is an amazing walk through display of miniature cities, Star Wars scenes and a mini Pirates Cove. 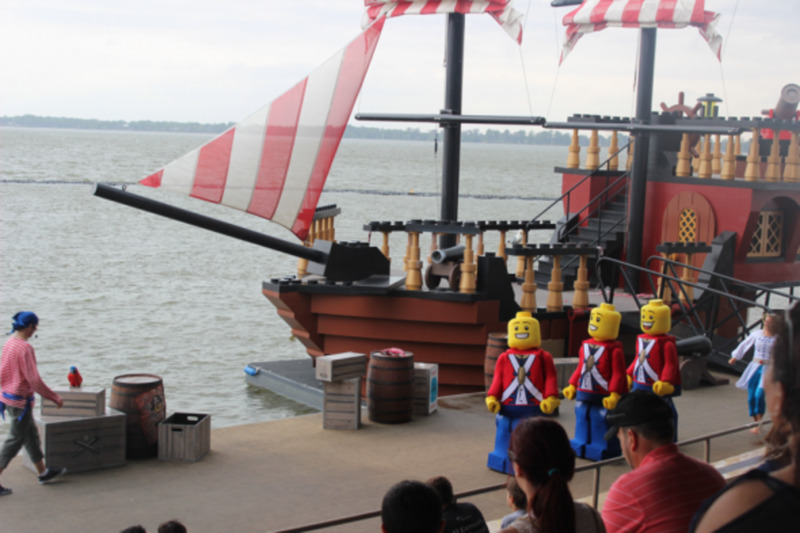 Toddlers will love the moving boats, cars and pirate ships, here and parents will love all the amazing architecture built out of LEGO bricks. 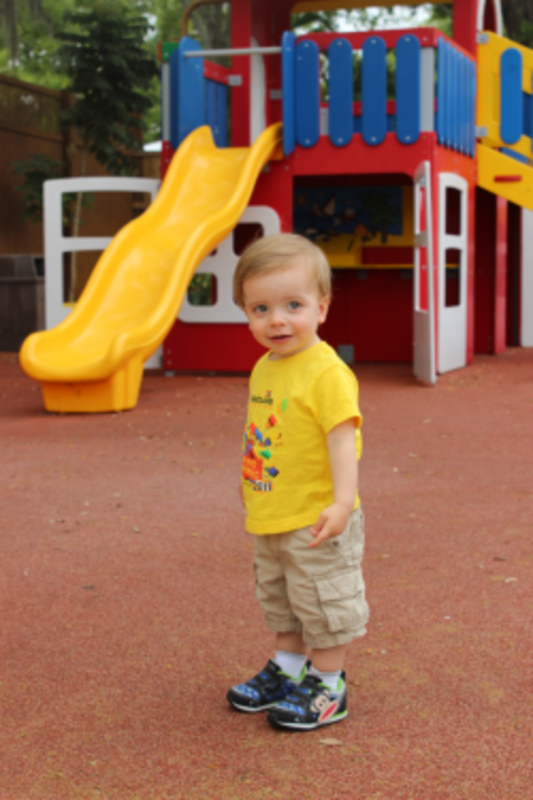 DON'T make the mistake of doing Miniland from the stroller or skipping it altogether! 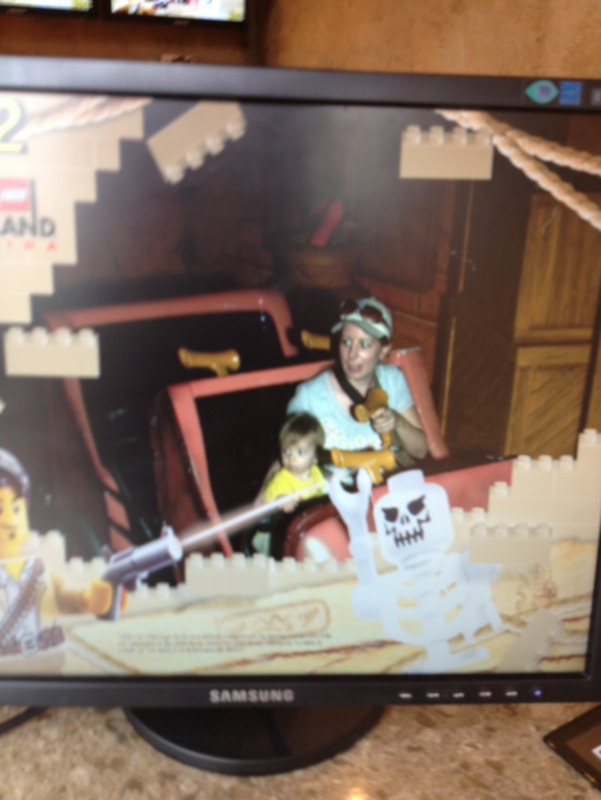 I've been doing trips to LEGOLAND with my mommy group and ALL the little ones enjoy Miniland. Why? The simplest things like cars and boats moving around and buttons that they can push that make things happen. Yes, sometimes they try to get inside Miniland (who wouldn't want to get in there! 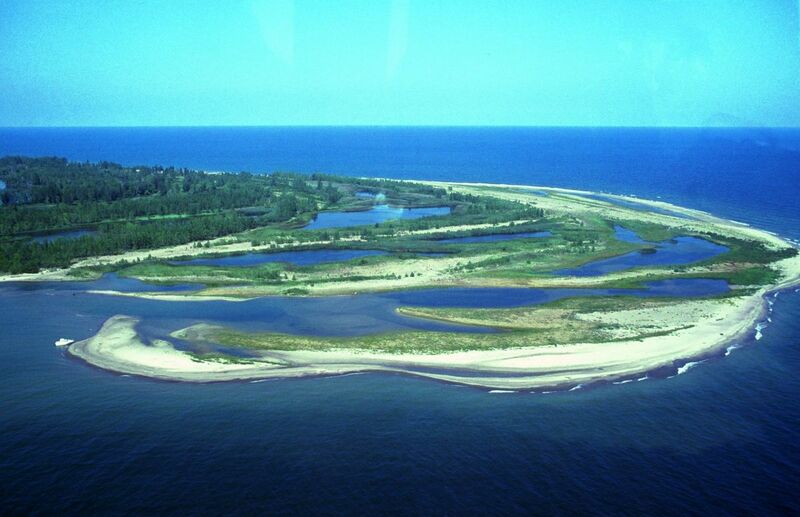 I used to work there and that was my favorite part of my job!) but the little fences are toddler height and most of the time, they are content to hold on and watch things move. 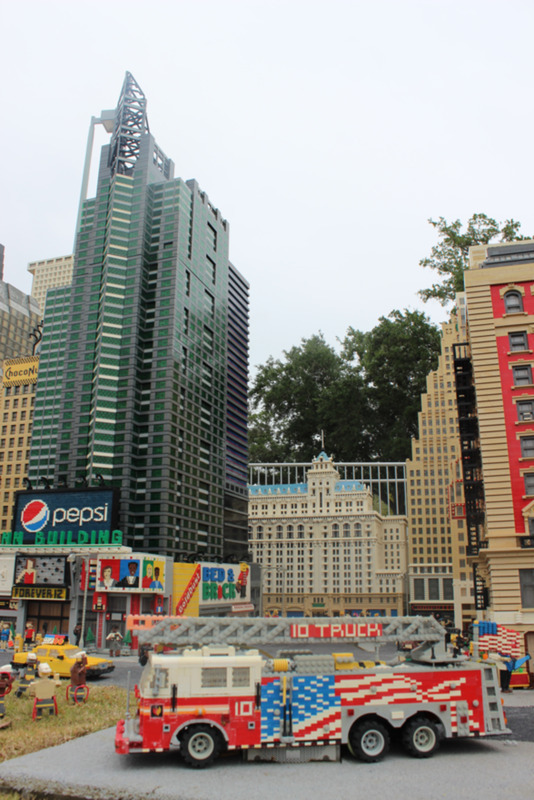 DO stop in Miniland New York City or the Pirates area so they can watch the trucks, cars and boats move, and take a break, so they can enjoy it!!! This ski and land show was so exciting and invigorating for my toddler. My son got into the spirit by clapping and calling out along with the cast and other guests. He liked this show so much I took him a second time. For the second time, we sat in the splash zone. My toddler didn't so much like getting water sprayed on him with a hose. Maybe he would have liked it better in the summer? I don't know, but he and I definitely preferred the show from a few rows back. 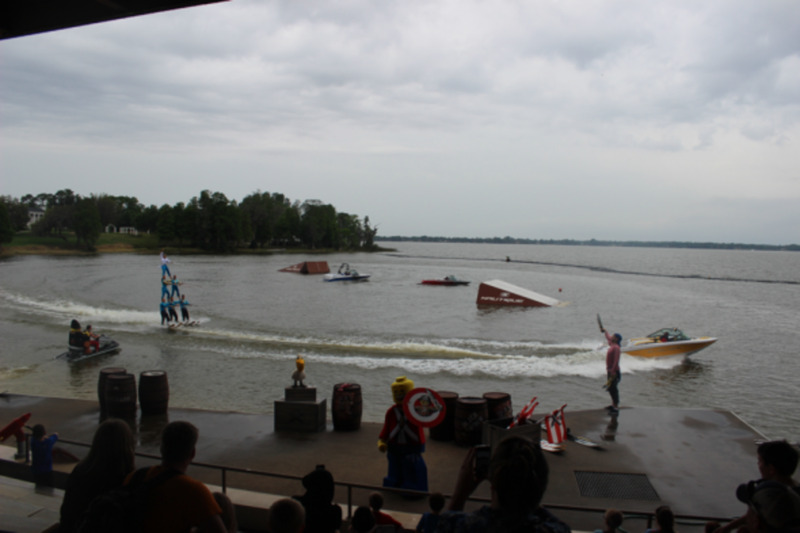 Waterskiing Rocks at the Ski Show! - The Speedboats are Awesome Too! The skiers were amazingly talented in the Ski Show. There were plenty of stunts and tricks to keep the little one and me entertained. Plus the music and songs were pretty good, too! 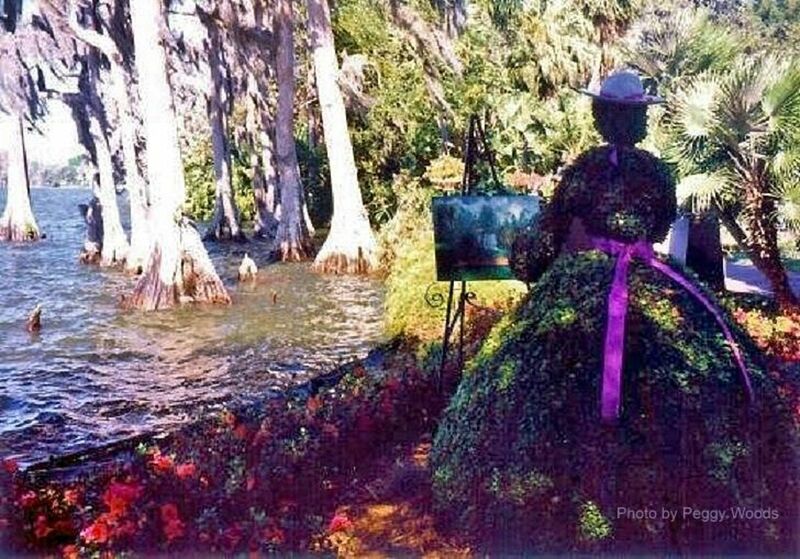 The gardens are a preserved historic botanical garden that was part of the original Cypress Gardens theme park prior to LEGOLAND purchasing and renovating the property. 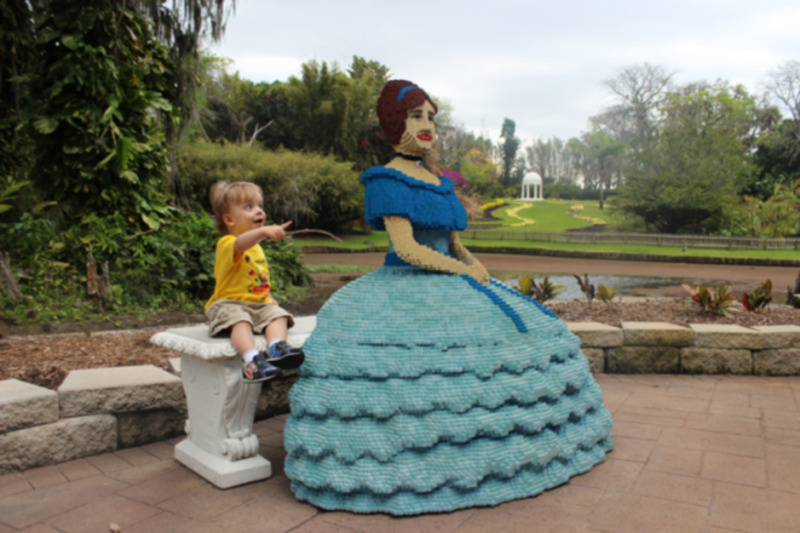 Southern Belles used to greet guests here, so now they are made out of LEGO. The Gardens are a great place to sit your toddler down and take some nice photos. Find the Southern Belle on the bench and snap away! 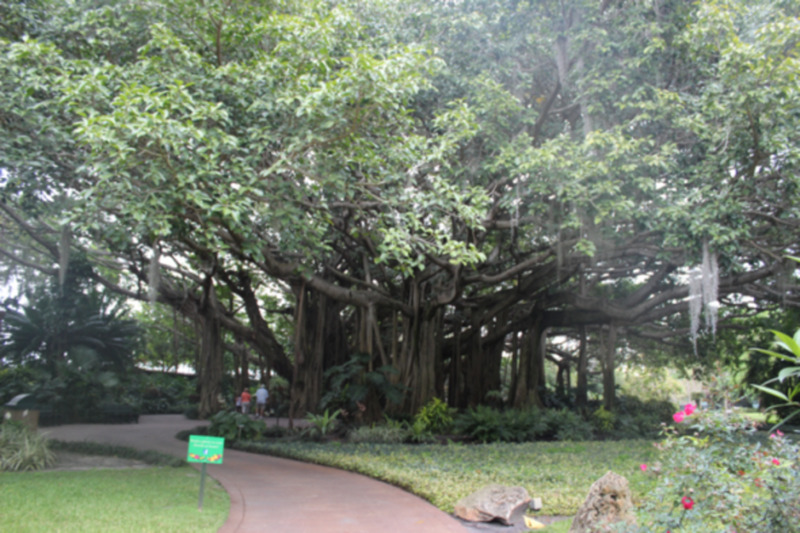 The Banyan Tree was brought to Cypress Gardens in a coffee can by its owner in the 1930s. It is an enormous majestic tree that must seem magical to a toddler. 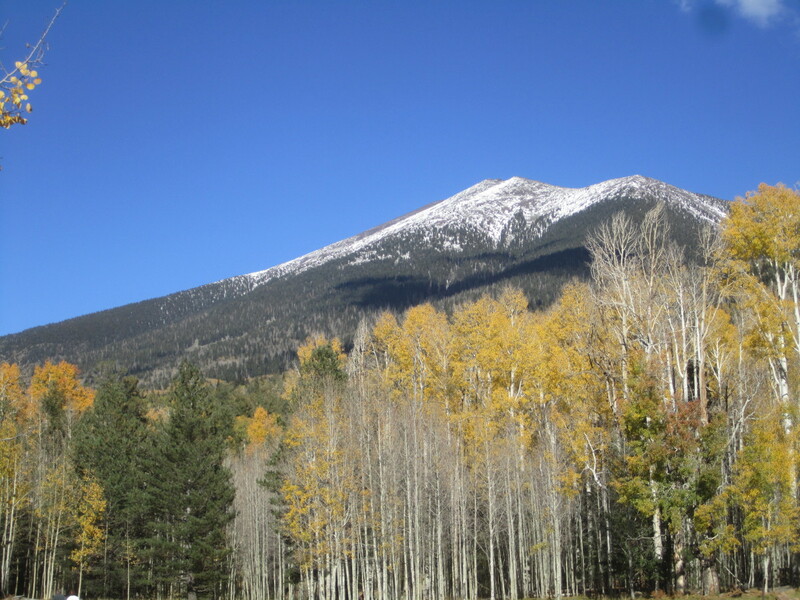 It is an amazing sight and something you cannot see anywhere else! If your little one is tall enough, this is a super fun boat ride. You do have to steer. 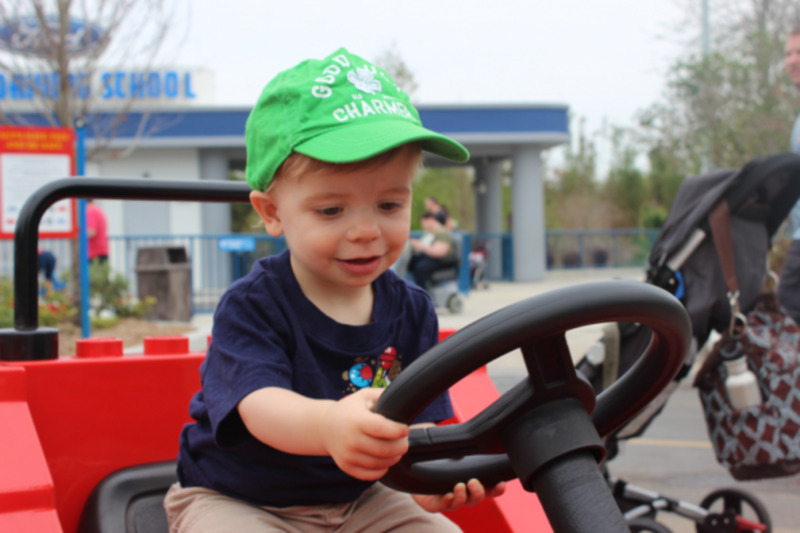 Nobody will stop you from turning yourself around because you are not on a track or anything, so do a good job helping your little one drive or the ride operator will have to come and turn you back around! The Big Test Show - You can watch in the shade or in the sun. 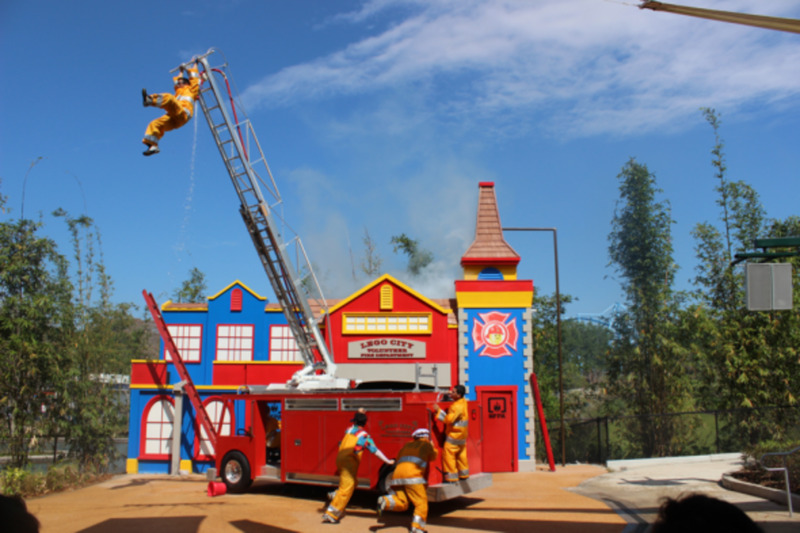 This is a very cute comedy and acrobatic show about fire safety. It wasn't too tough to keep my toddler interested. Take a seat that is not in the splash zone, because the water spray was not something my toddler liked at all and get there right when the show starts, because toddlers HATE waiting and the show shouldn't fill up. Remember, this is not Disney World and you do not have to battle a crowd to see this cute little show with a practical message with the beloved fire truck. 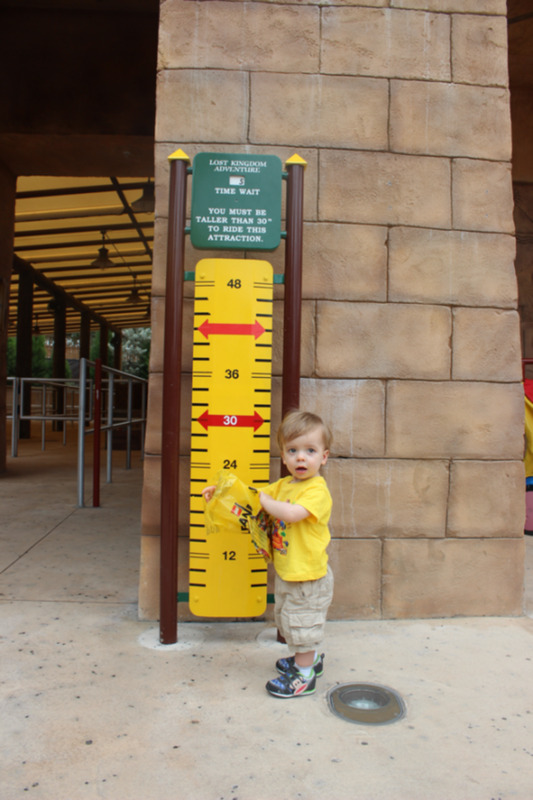 With a 30" height restriction, this ride is perfect for a toddler, but more fun for mom. It is a dark ride with target shooting, so a toddler doesn't exactly understand what they are doing in this ride and it is a little scary, but my son did fine. It is also nice to do one of the only "dark" indoor rides in this theme park in central Florida. 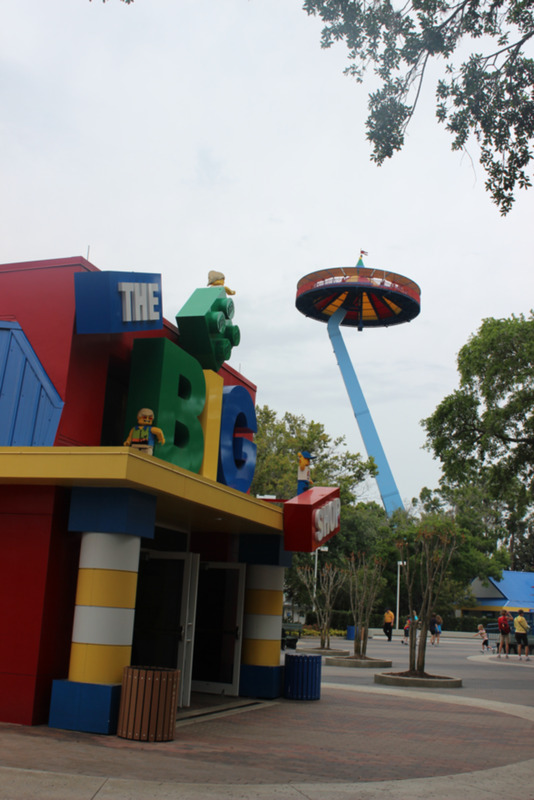 Hopefully they can build more of these rides to keep their tiny and tall guests from melting in the hot Florida summer! Usually you see these ride photos on the coasters, so it is such a treat to get a photo on a ride that a toddler can ride. I'm adding this one to my collection. 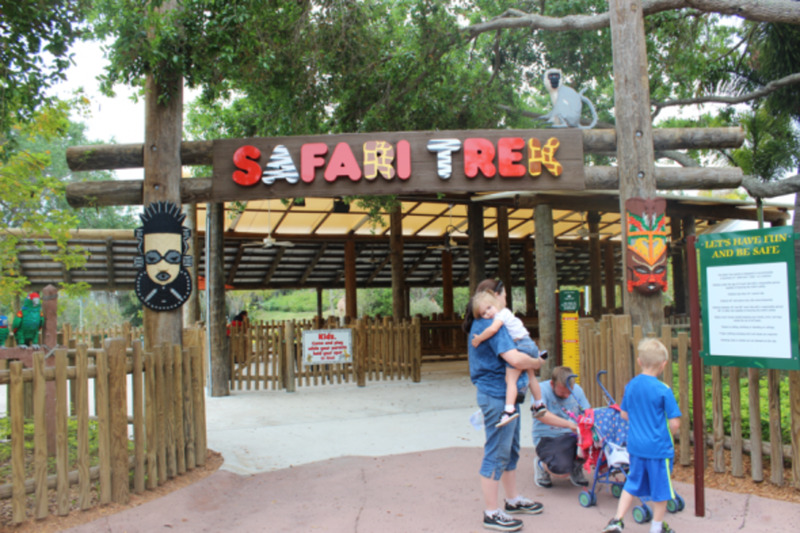 Safari Trek - Toddlers Can Ride with Adults if they are 34"
This is a cool little car ride on a track that a toddler can ride on with an adult if they are 34" or taller. 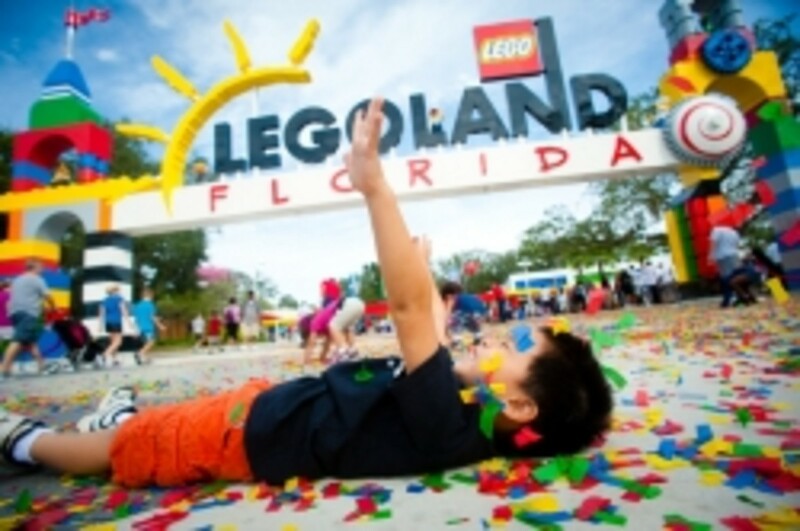 They will love all the life-sized animals built entirely out of LEGO bricks. Plus they will feel like a big kid in their tiny car. 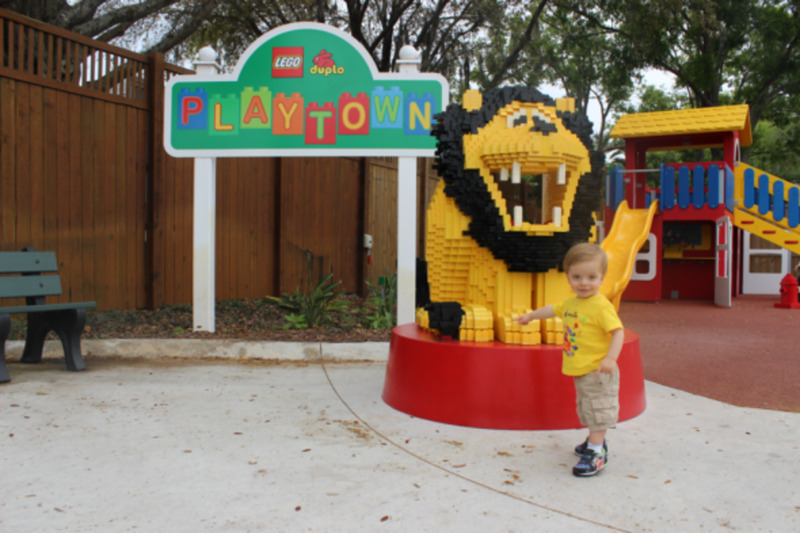 Toddlers are the perfect height to talk to the LEGO minifigs that decorate LEGOLAND Florida. 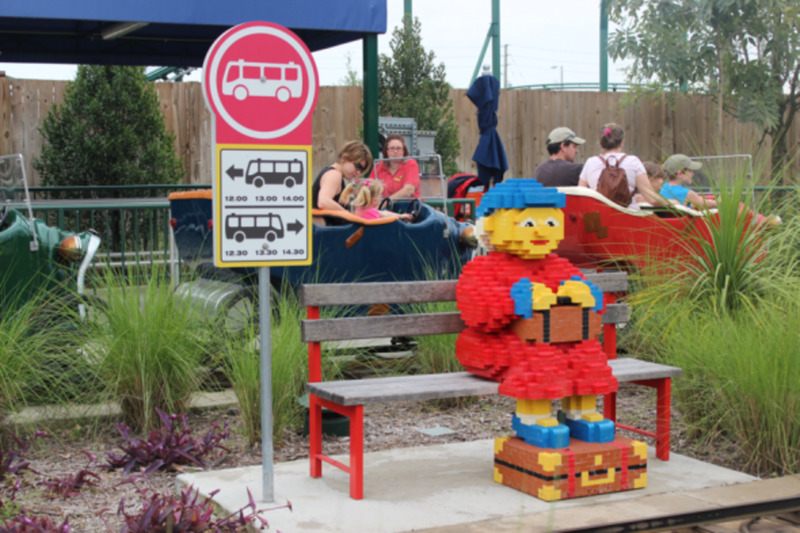 In LEGO City, there isn't much for a toddler to do, because of the height restrictions and type of rides that are offered. However, it is the perfect place to take photos at there cute little LEGO figures that stand in the walkway! This car is stationary, but he loved it! This fun little car ride is on a small track. The really little guys are welcome to ride this with an adult. 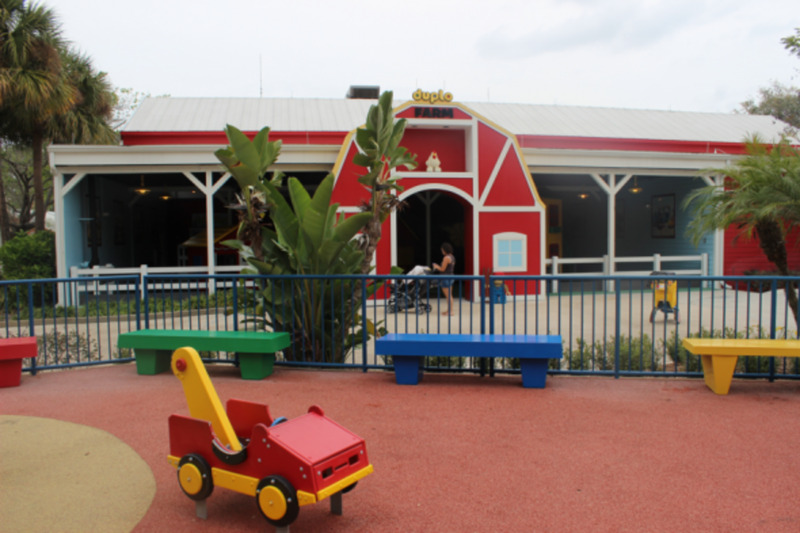 Little ones are welcome to ride this attraction as long as a parent rides with them in the back. DUPLO Farm - Play on slides and build with DUPLO inside the barn. The only thing missing from this attraction is air-conditioning! They are so close, but one wall is open-air, so it is not completely protected from the harsh Florida summer. DUPLO Farm Inside - Big Slides at the DUPLO Farm... Weeee! Hang here with your toddler if you are with big kids who want to go on the Dragon Coaster or the wooden coaster. There is no cover, here, so make sure your little one wears his sunscreen. 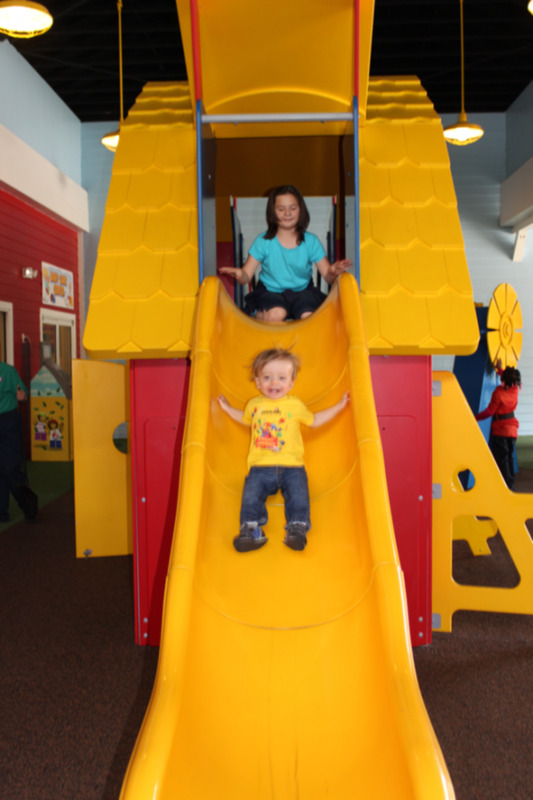 This is a fun little area with more slides and DUPLO, so toddlers love to spend time here. 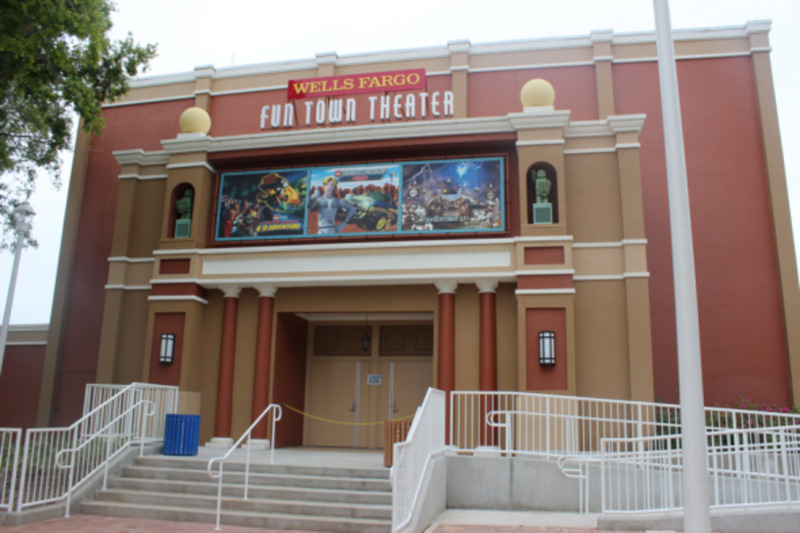 It is a great place to hang if your big kids are going on the Dragon or Wooden Coaster. A natural sunscreen especially for babies without all the chemicals and cancer causing ingredients in your standard sunscreen. Babyganics in a stick. It doesn't get easier than this and it is a very good chemical free sunscreen. 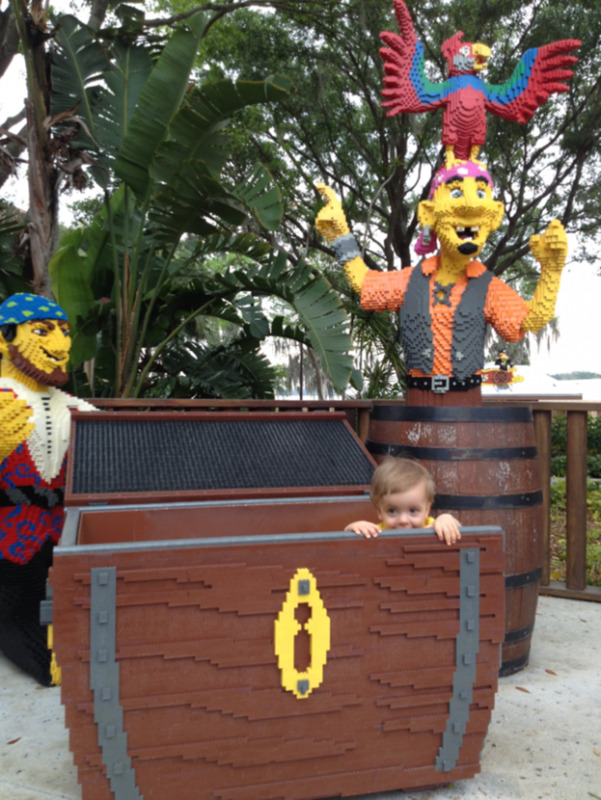 Picture Time - Have your toddler hop inside the treasure chest near the Pirate Ski Show. This makes the cutest picture and it was so much fun for my toddler, too! Thank you thank you! Taking my almost three year old soon and your review was REALLY helpful!